New Westminster has been a hub for some of the region’s most interesting suburban tower developments, and a new proposal at the southeast corner of the intersection of Belmont Street and Seventh Street is no exception. 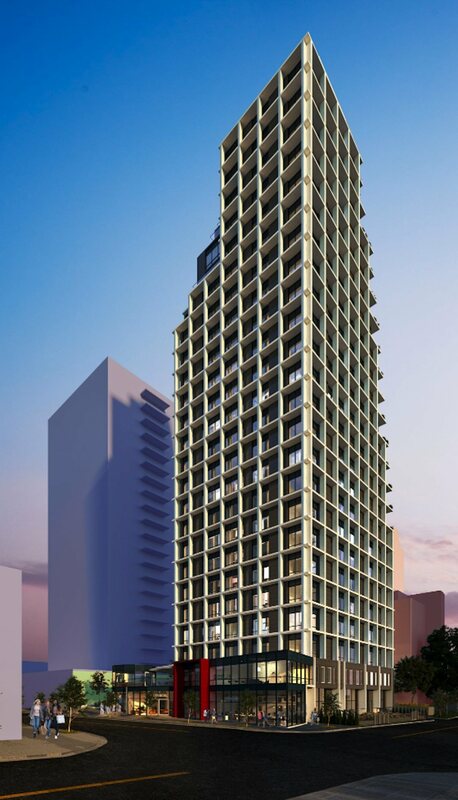 A residential tower design by Billard Architecture for the ground-level parking lot site at 513 Seventh Street in the downtown area will be reviewed by the municipal government’s Land Use and Planning Committee next month, before it is further advanced in the application process. 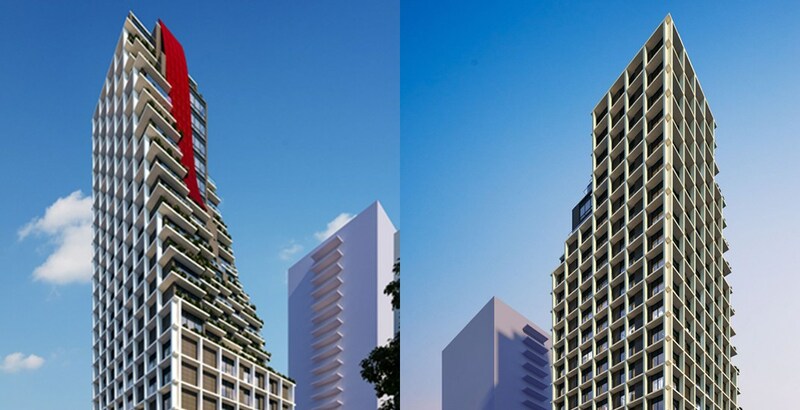 Few details are readily available at this time, but the proposal is approximately 25 storeys and features a cascading terraced southern facade, accentuated by a pattern of balconies. The upper levels of this facade are also highlighted by a bright red-coloured installation that provides a break to the cascading terrace and the uninform, punctuated appearance of the other three facades. 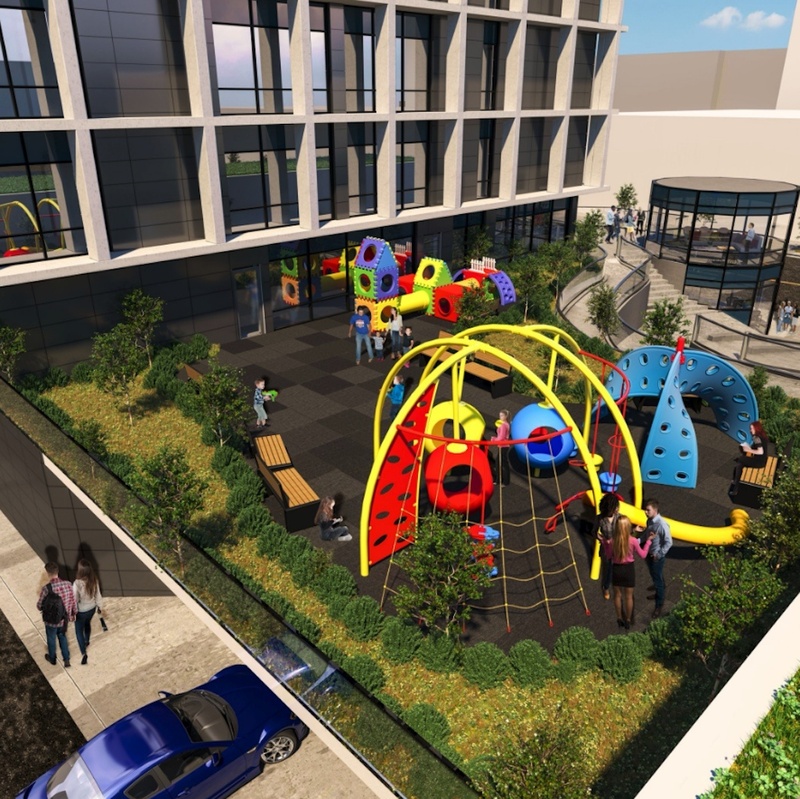 An outdoor residential amenity space with a children’s playground is located on the rooftop of a lower podium. 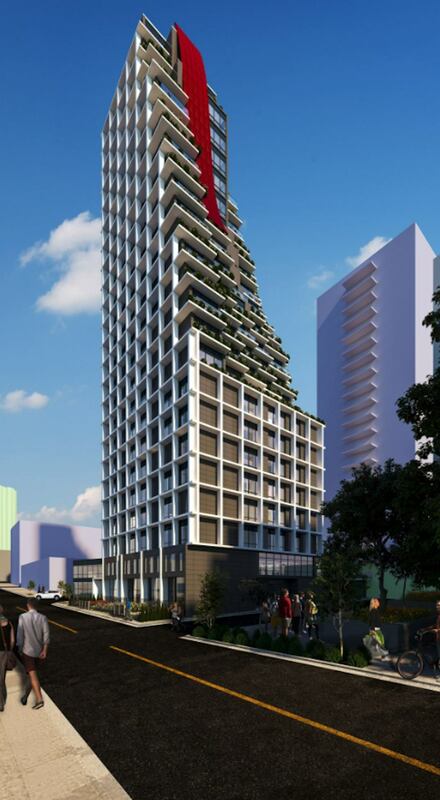 According to the architect, the design will minimize the impact to the views from the neighbouring tower and promote the area’s farmers’ market.